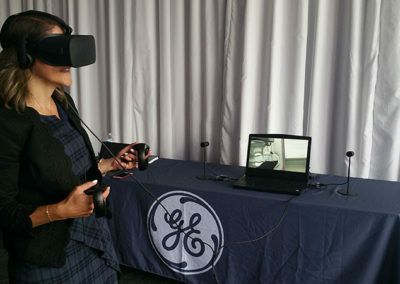 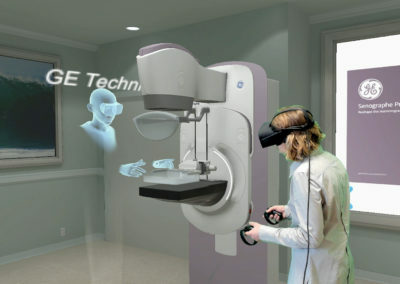 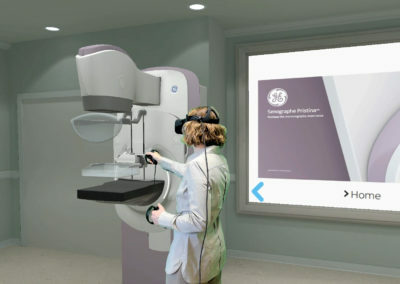 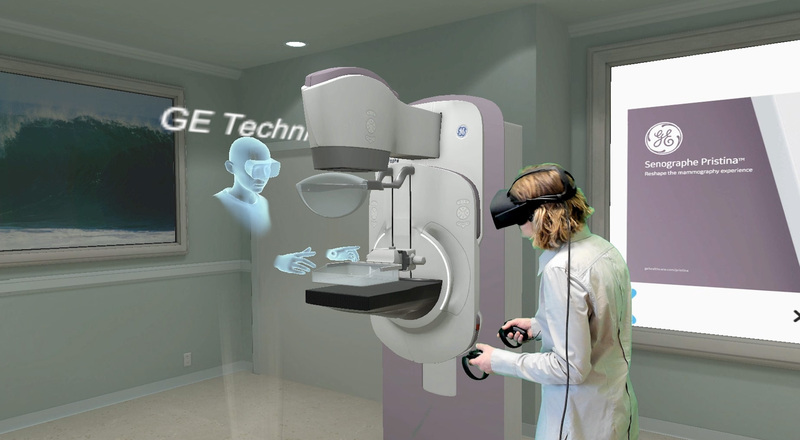 We’re proud to be a VR development partner to GE Healthcare delivering VR medical equipment visualization and exploring immersive remote training and collaboration opportunities. 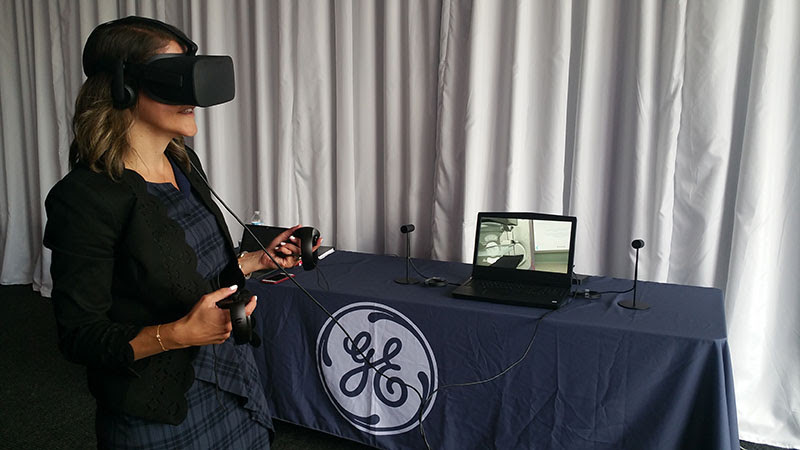 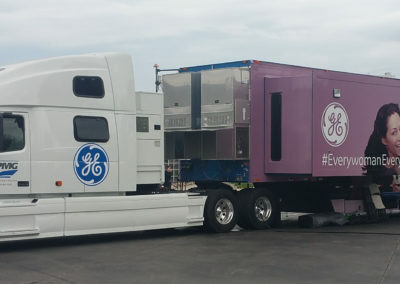 GE Healthcare has been a visionary client, exploring a variety of case studies and test projects that are pushing the boundaries of the use of VR in medical and healthcare simulation and training. 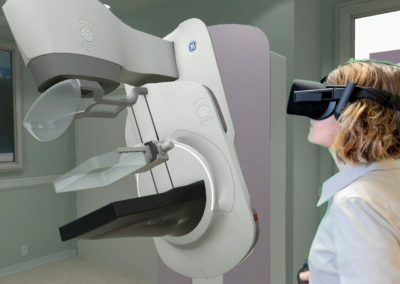 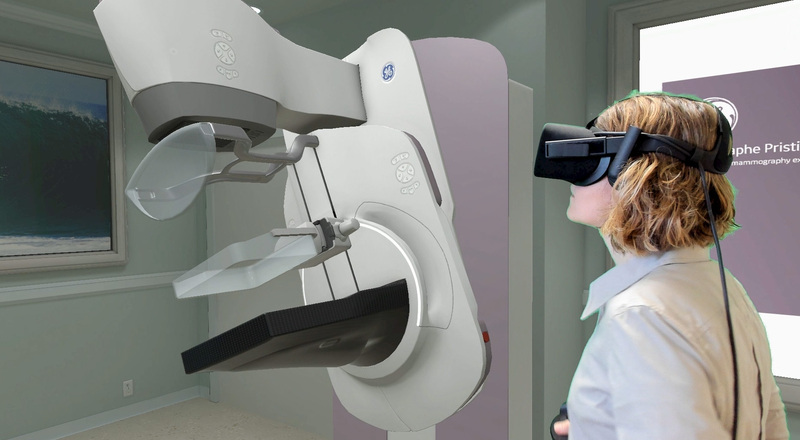 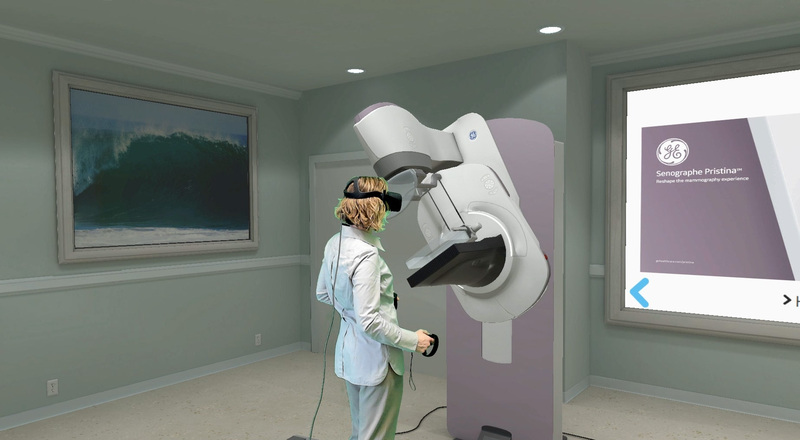 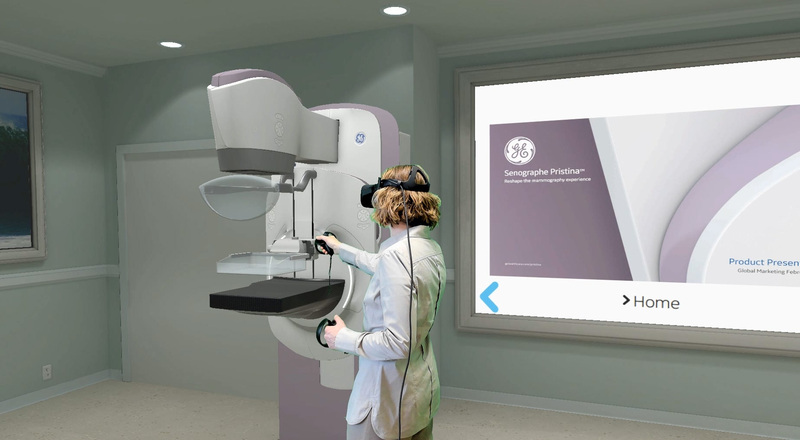 Our most recent VR application demonstrates the features and benefits of their new Senographe Pristina 3D GE Mammography product. 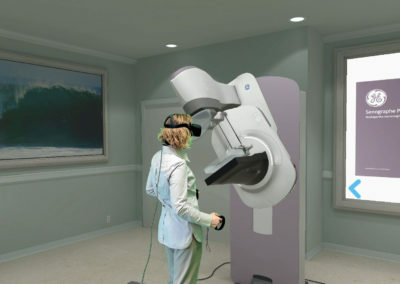 The VR experience has been accompanying a roadshow traveling across the country, introducing health care professionals to this innovative new product.